§B ... in memory of ... ordered Œpir to carve the runes. 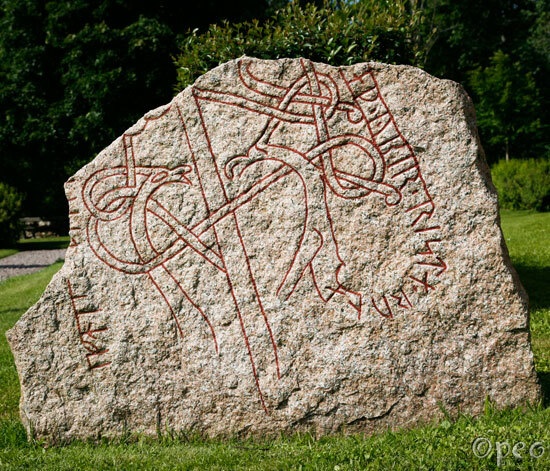 This rune stone is standing next to Skogstibble church. There are also fragments of two rune stones inside the church, but alas it was closed when I was there. The main picture shows the B-side of the stone, but if you point at the photo, you'll see the A-side instead.